The original Civil War In 3D review (as well as other reviews are available here. Want to go back in time and visit the battlefields of the Civil War...get a close up and personal view of the military commanders who fought for the blue and the grey...or witness the aftermath of war following the assasination of Pres. Lincoln? Visit CivilWarIn3D.com to journey back to the 1860s by viewing their online galleries of Civil War stereoviews restored from the Library of Congress collection. The Library of Congress began collecting the original negatives for the stereoviews in the 1940’s and continued collecting them for the next 20 years. During this period they collected thousands of images. Both 2-D and 3-D material as well as prints, engravings, sketches, water colors, etc. were collected. In addition to the glass negatives of the stereoviews many of the original cards where collected. 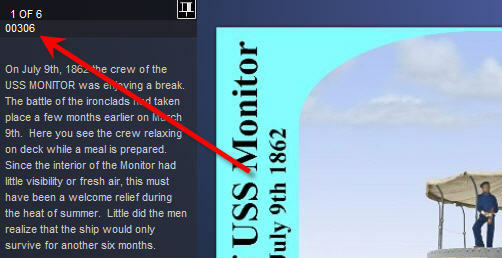 A search of the digital archive’s in the Civil War section displays a total of 2,112 images. Of these, 2,037 are from glass plates. Not all of these glass plates remained intact. Since a single plate consisted of two negatives (for the left and right stereoview) many of these were cut in half and printed as 2-D images. In some cases one half of the original stereoview was lost and what is left is a 2-D image only. Of the 2,037 glass plate negatives more than 1,900 have both sides. CivilWarIn3D.com has painstakingly started to restore and colorize these stereoviews to give "life" to the real flesh and blood people who fought for the North and South. Many of the small detail elements are difficult to see and can really only be appreciated on the finished card. If you look closely, you will understand how much attention to detail is given each image. CivilWarIn3D.com shows a step-by-step example of how they create the restoration on a card featuring Gen. Sherman. A typical image like this can take many days or even weeks of work and then it has to be repeated for the other side! CivilWarIn3D.com provided 3-D Review with several sample cards. We were amazed at the quality. Using magnifying glasses, we expected to find halftone dots when we inspected the details of the stereoviews. The cards are truly photographic in quality and extremely sharp in detail. The stereoview titled Capt. Gibson's Flying Artillery, Peninsular Campaign, June 1862 features Capt. Horatio Gibson leading nearly 100 men and their horses. The compelling image is a fine example of the detailed restoration being done for each one of the cards offerd by CivilWarIn3D.com. Enjoy the various links on CivilWarIn3D.com's website. Its an enlightening trip through the history of 3-D and contains educational and informative examples of how they brought these stereoviews to a modern audience. Click the "Missing" link to discover how they restored one stereoview by using the colors of the actual Civil War uniform worn by a soldier pictured in the vintage card. You can purchase the stereoviews by visiting CivilWarIn3D.com. 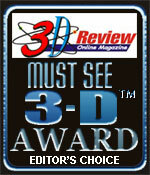 CivilWarIn3D.com receives a 3-D Review Online Magazine "Must See 3-D" Award for their outstanding restoration work in bringing these cards to the collecting world. Editor's Note: After we published this article, David Richardson of CivilWarIn3D told us there is a numbering system for the cards on the CivilWarIn3D website, "We are using the number from the left side of the image from the Library of Congress (so they are not just numbered 1-2,000)," said Richardson. "This will allow you to type in the number into the search field, in the image area and find your card and the corresponding original un-restored card from the Library of Congress."